Learn how to make homemade vanilla with this very simple tutorial. I love having homemade vanilla extract. 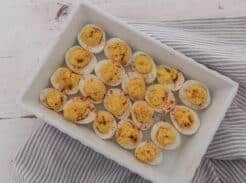 It is very simple to make and works beautifully in so many of my recipes. Homemade vanilla extract has more flavor and depth than the imitation vanilla, that you find on the cheap in the grocery store. Real vanilla can be expensive, but it is worth the additional cost. When you make it at home, the taste is even more pure and delicious. You get every part of the vanilla bean, including the fragrant seeds inside the pods. Homemade vanilla extract is less expensive than the real stuff from the grocery store, and the flavors cannot be compared. I use a lot of homemade vanilla extract here in the farmhouse. I sprinkle it in homemade yogurt, pour it in grain free granola and add a dash to my morning coffee. Don’t put it past me to throw a few drops in a pumpkin, frozen banana, cinnamon and raw milk smoothie. I can’t get enough of the stuff! I have made homemade vanilla extract from many different beans. Years ago I purchased them on eBay. Now, I get them on Amazon. I have tried Tahitian and Madagascar Beans. .
After doing a little research, including this article on Pastry Chef Online, the best bean for culinary purposes is pure Madagascar vanilla beans. Homemade vanilla extract made in vodka tastes most the like the good old fashioned, and pure, vanilla you’re used to. Rum or bourbon will add a rich flavor to the extract. If you’ve ever made an herbal tincture, the process of making homemade vanilla extract is very much the same. The basic science goes like this: When an herb with desirable properties is placed in a preserving liquid, like glycerin, vinegar or alcohol, the beneficial components/taste/properties are extracted to the liquid. Alcohol is a potent solvent, and yields a more concentrated tincture. 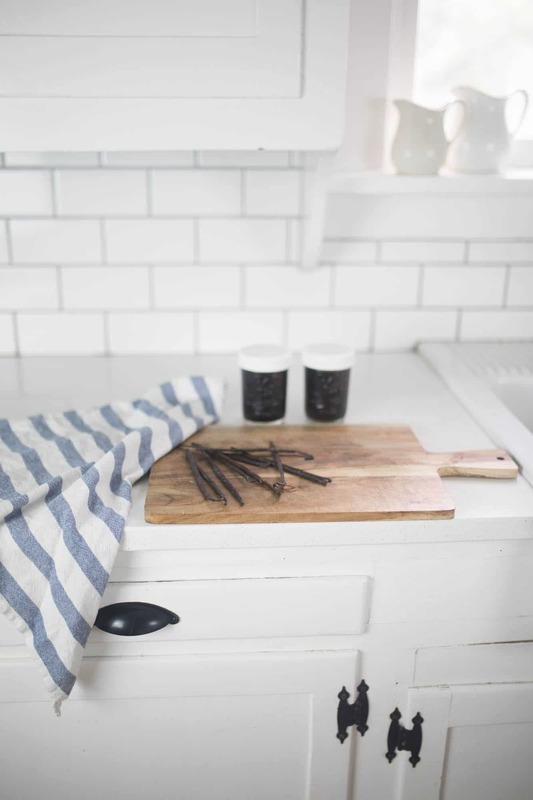 Putting together a batch of homemade vanilla extract is as simple as placing vanilla beans in your preferred alcohol choice, and letting time do the work. Cut vanilla beans down the center. Place the vanilla beans in your vessel of choice. Depending on the size of your jar, you may or may not need to cut the beans in half to fit. For this application, I am using the same wares I use for everything else. The humble mason jar. I have them in every size. Cover the vanilla beans with alcohol. I just use inexpensive vodka. You will know it’s ready when the extract no longer smells like alcohol. This usually takes about four months. Homemade vanilla extract, alongside a pretty tea towel and beeswax candle, makes a super simple, and thoughtful, handmade Christmas gift. If you aren’t able to start the vanilla four months before, just put a little note on the jar that says “Ready to enjoy in February”. 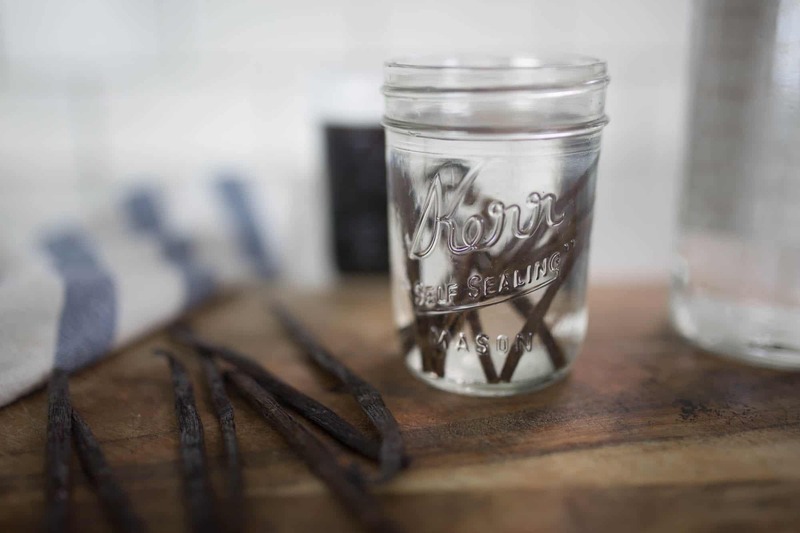 Enjoy making homemade vanilla extract! Hi, Lisa! I’m so glad you found the vanilla post helpful. 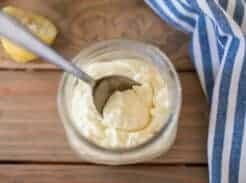 You are so right–homemade extract can’t be beat. I have some going right now with all three beans in it (Mexican, Tahitian, and Madagascar) that hits all the notes, but the best all-around straight up vanilla flavor is for sure Madagascar (at least to Americans. Mexicans might feel differently!) Thanks again, and your blog is beautiful! This was so awesome. I’m excited to try it! I would love to see the project all ready to give as a gift! I imagine it to be beautiful. I’ve never received anything like that myself. I would love to make some for others , saving one present for me! You are the bomb, Lisa! Thank you! Great post! 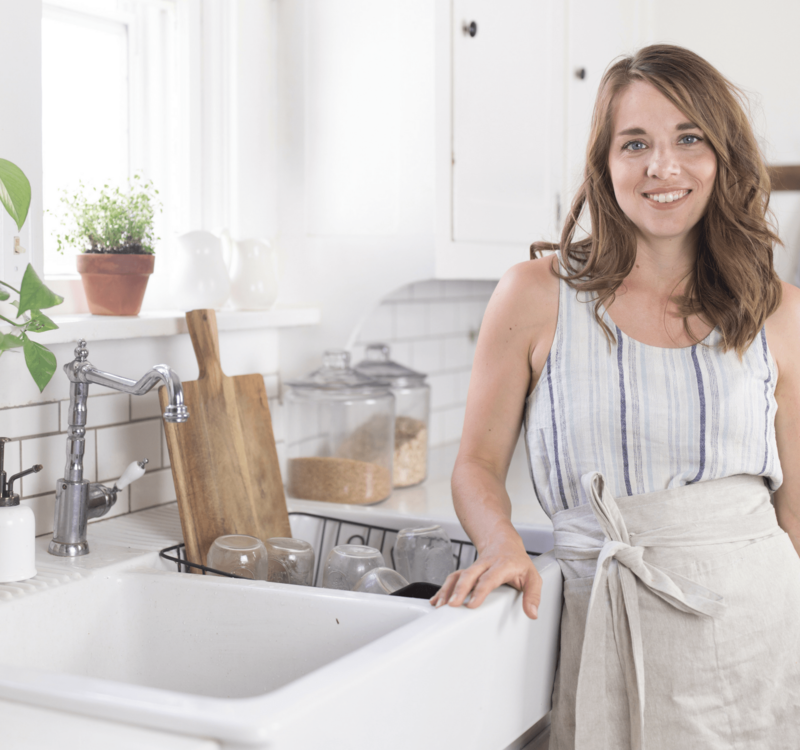 Have you seen how an electric pressure cooker can be used to speed up the process? What are your thoughts on that? I was wondering if you can bury the used vanilla beans into an air tight container of raw sugar to make vanilla sugar? I love vanilla sugar on sugar cookies or in anything I’m baking that requires sugar. 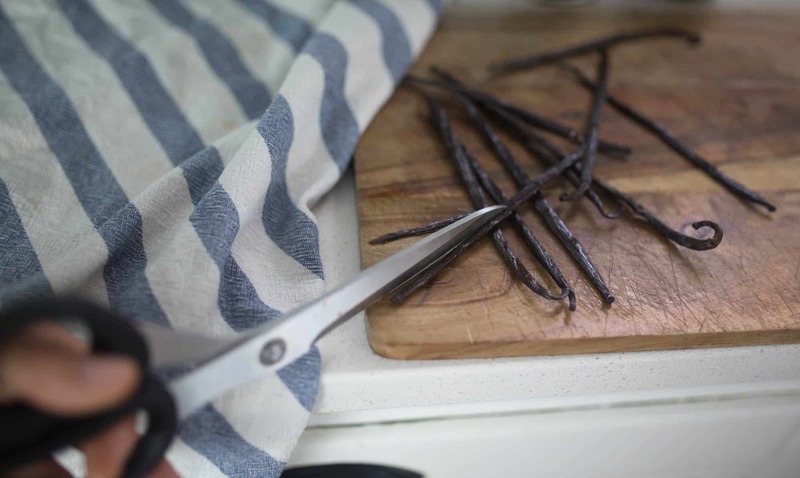 I use the leftover vanilla bean pods once the seeds were scraped out and curious if you’ve tried this. Love your videos, you’re a natural. And of course your blog, too. Annie, I’m pretty sure I have read of people doing that. I don’t see why not. Sounds so delicious! I did this maybe 10 years ago-it’s been awhile. I don’t do much baking so I think we are finally on the last bottle. 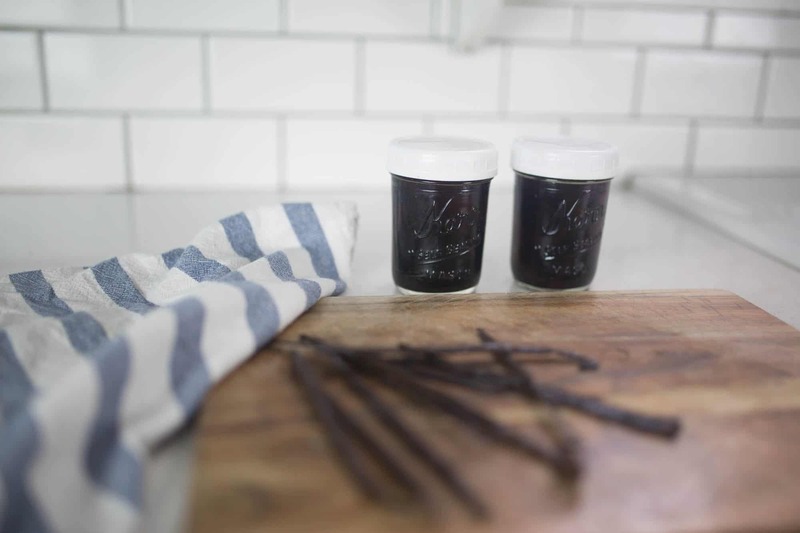 How many vanilla beans do you put in a mason jar? I don’t remember. Always enjoy reading your posts! I love to make my own vanilla. So glad you shared this, as making your own saves money, provides for a superior product and it’s fun to do. 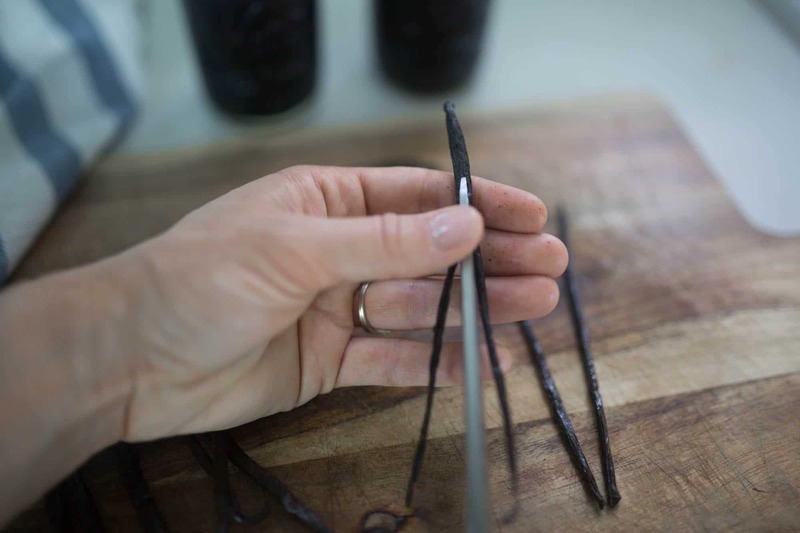 On a side note: it is recommended to use Grade B (contains less moisture) vanilla beans for use in tinctures. You’ll get a stronger flavor using grade B. You can also use amber glass jars to protect your product from light contamination. HI! Love your blog. I was wondering where you get the white lids for the mason jars? Thank you! Hi! Love this idea for Christmas gifts!! When you gift them do you just leave the bean and all in the jar? Or does that eventually break down as well? It eventually needs to be removed, but I like to leave it in for the gift because it looks so pretty! 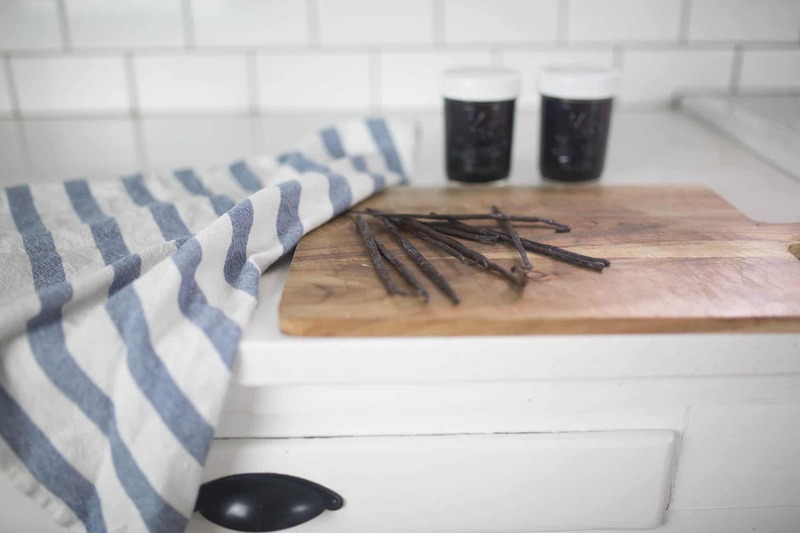 Hi, I’m just wondering how many vanilla beans do you usually use per half pint jar? Thank you! At the end of the 4 months do you leave or remove the beans or have they dissolved? You will have to remove them when you start using it. 🙂 You can leave them, but when the liquid gets below them they could mold. Hi there. I was wondering, is the end result still alcoholic? As in, is it safe to consume during pregnancy and for small children? 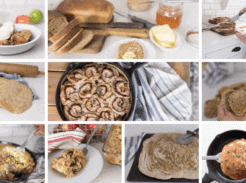 Apologies if this sounds like a silly question, I am making-things-from-scratch beginner! I was wondering the exact size of the jars (oz?) you used for the extraction process to get an idea of how many vanilla beans I need to buy and what size jars to buy as well. You had mentioned 3 beans per jar. Just wasn’t sure on the jar size. First timer here. Do you have to use plastic mason jar lids? I don’t have any and was wondering if the metal ones would work fine. (: Thanks! Metal works also, but they may rust. I was wandering if i could just use the vodka bottle instead of a jar. also a 500 ml bottle would need 4:5 pods, right? what would happen if i add more or less pods to my extract? I’ve been making the vanilla for 5 months now. The beans have not disintegrated. Should they be completely gone? Or do I drain and re-use the beans with more vodka?